As the term suggests Virtualization in computing terms involves creating virtual operating systems, networking platforms, and storage devices. It today’s world, there is a lot of need for complex computer systems to help manage large businesses. Virtualization helps computer system and network administrators use the same hardware to run a parallel operating system process. This translates to the efficient use of the hardware and software integrations. It also means that files can be securely and efficiently shared over a virtualized network. There are several virtualization software on the market today. This article describes the best 10 virtualization software available today. Citrix is one of the best virtualization software available. It uses an Enterprise Mobility Management (EMM) technique to deliver to its clients a secure and optimized integration between data and the applications managing the data. Enterprise Mobility Management (EMM) – Citrix offers a complete set of EMM services, which include secured gateways into a network, management of mobile application and mobile content management. File sharing and synchronization – with Citrix, a business can easily share files without delays or redundancy problems. Efficient networks – Citrix allows for data and applications to be shared securely and fast to all the users of a network. With many users in a network, it is necessary that you get a secure virtual network. Citrix provides that. 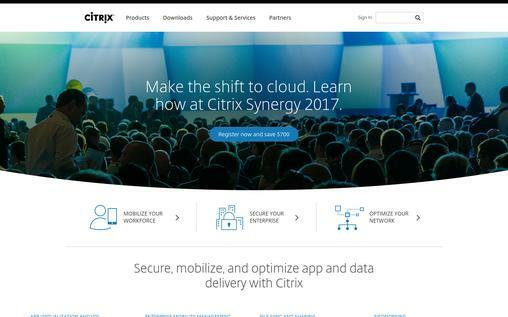 With millions of users all over the world, Citrix is a strong and reliable virtualization software. It provides secure networks and optimal virtualization services. The EMM service especially makes Citrix very desirable virtualization software to go for. Parallels help you get access to your office working desktop from any device and run applications from any part of the world. Applications remote control – you can actually control all your desktop applications from outside you working desktop. The best thing is that Parallels works on any device so you do not have to worry when away from your office. Peripheral redirection – parallels allows redirecting of USB and other peripheral devices connected to your working machine or network. Runs on most OS – you do not have to change your operating system to use Parallels. It runs on all common OS like Windows, Linux, Android, iOS. 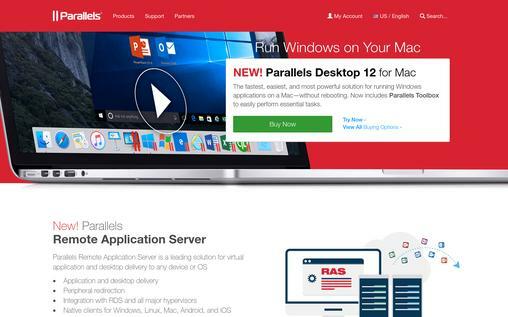 Parallels is a strong virtualization software which runs on most devices and supported by most OS. You do not have to install your current operating system to use Parallels. Virtuozzo provides hosting services for some of the largest online hosting companies and service providers. System containers – this unique feature allows an isolated kernel to manage several other isolated virtual processes at the same time. Encrypted containers – this feature allows for maximum security for the data being exchanged. You never have to worry about someone decrypting your messages when using Virtuozzo. Runs fully on Linux and other distributions – if you’re are using any popular OS distribution especially Linux, the Virtuozzo is the way to go. 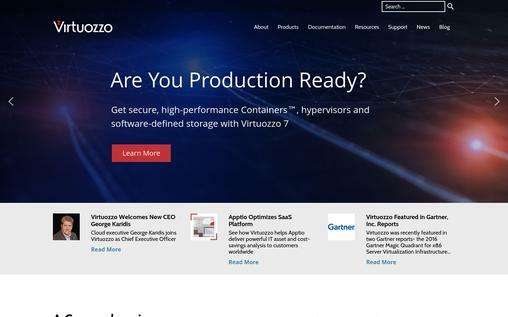 Virtuozzo has been in use since 2001. It has some of the best manageable, secure and elastic infrastructures for any virtualization software. The Xen Project provides virtualization services for many commercial organizations. Amazon web services are for example managed using the Xen Project. It is open source – the Xen Project is part of the Linux OS. It is, therefore, open source and can be accessed easily by interested users. Small business or individual users can take advantage of this and virtualize their computer operations. Cloud-based solutions – the open stack is the best example of the cloud-based solutions provided by the Xen Project virtualization software. A wide range of server products – the Xen Project has a wide range of server products which include the Huawei UVP and Oracle VM. 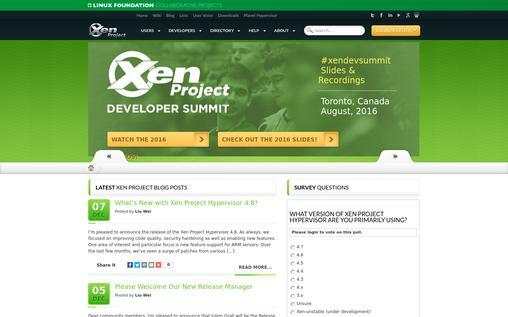 The Xen Project has been on the market since 2003. It has some of the most comprehensive services for any virtualization software. Virtual Iron was acquired by Oracle in 2009. It provides high-quality server virtualization and infrastructure management. Comprehensive virtualization services – this software allows for both single and multi-server partitioning. This gives adequate and highly available recovery options as well as access to virtualized data. Reduced errors and labor – Virtual Iron manages your virtualized data and applications through automated processes. This helps to reduce the errors of redundancy that may arise from human input. Virtual Iron is among the best virtualization software in the market today. Since it was acquired by Oracle, virtual iron has improved drastically. 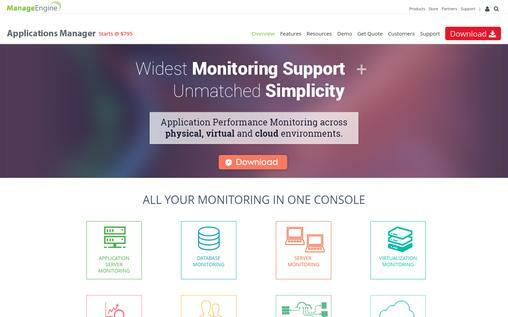 ManageEngine offers wide monitoring services and is simple and friendly to use. You do not have to waste a lot of time trying to figure out how some of its features work. It also offers a monitoring support system. Server virtualization – with ManageEngine, you will be able to run as many virtual OS on the same computer. It helps maximize production and reduce operation cost. Applications management – ManageEngine offers an application management service which monitors critical applications like revenue collection applications. ManageEngine keeps your applications and all virtualized process managed and proactively monitored. When using ManageEngine, you will have your virtualization needs sorted. VMware comprises of a whole set of required features of any virtualization software. It is currently used by many organizations to manage their clouding services and virtualization. Data and cloud center infrastructure – with VMware virtualization, you will have the best data and traffic flow. The best thing is that all your data will be virtually stored in the cloud, where you can access it whenever you want. Secure networking – VMware offers secured networking channels. You do not have to worry about incomplete bits of data or decrypted communication lines. 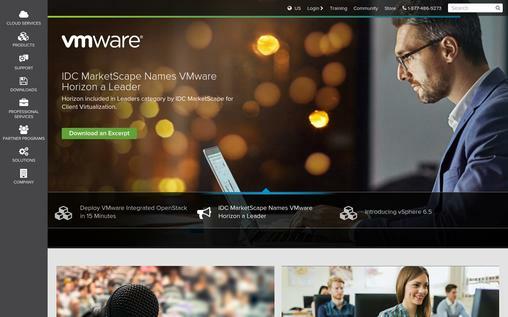 Digital workspace – VMware offers access to any application or device on the networked virtual environment. You can remotely access end-user computing services, all hosted on a virtualized platform. VirtualBox is a product of Oracle that interprets to excellent services and reliability. It is powerful and can be used both for enterprises and for personal uses. 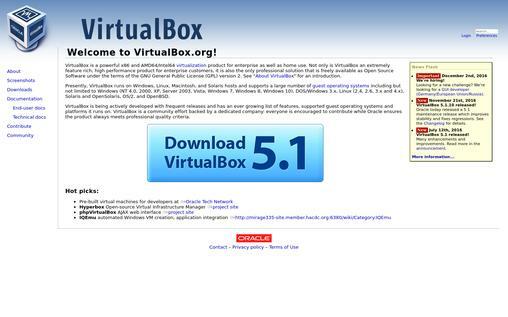 Virtual box is one of the most famous and widely used virtualization software in the market today. Open source – VirtualBox is open source virtualization software under the terms provided in General Public License, version 2. This allows many interested users to make use of it without having incurred a lot of costs. Flexibility – the list of the operating systems that virtual box runs on is endless. From windows 2000 to 10, Linux, OpenSolaris; basically, virtual box is one of the most flexible virtualization software. Updates – the virtual box is being reviewed and upgraded daily. It has frequent releases which make sure that every virtualization need has been addressed. Oracle host a community of developers who represent the virtual box clients while at the same time ensuring that quality product is developed at last. Virtual box is perhaps the best open source virtualization software. The best part is that it also provides quality virtualization services. Winflector allows fast and effective sharing of applications over a network. It helps avoid excess usage of network resources and computing responsibilities. It only requires a one central applications server which executes programs. The programs are then accessed remotely. Centralization – you don’t have to use different computers to host different applications. 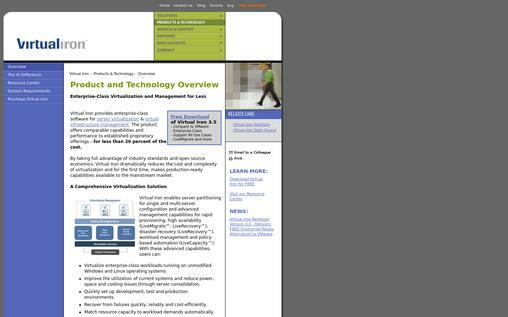 All you need is Winflector virtualization software. Winflector provides remote and centralized business applications. Internet integration – Winflector has a built-in server running on HTTP. The server can actually be accessed from most websites and has options for printing online pdf. Multi-usage – you can have different users access Winflector virtual platforms at the same time without causing unnecessary updates to the stored data. Mobile access – most people use mobile devices today. You can have your clients and staff access Winflector virtual platform from their mobile phones. 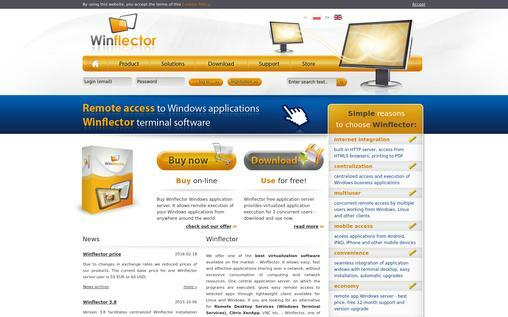 Applications from iDevices, Android, and most mobile devices can use Winflector. Winflector has mobile and windows version. You actually get to choose the one that works the best for you. It is one of the best virtualization software today. Redhat makes use of the modern technology of containers. This is an efficient way to develop quality applications and make them available to the necessary platforms. Reduced licensing costs – Redhat is perhaps the most effective virtualization software yet offering the lowest licensing rates. This helps even small upcoming business virtualize their platforms and save on both cost and maintenance fees. Unlimited services – for a fixed one-time payment, you can access unlimited services from Redhat. These services include the Red Hat Network. Customer support services – if you get stuck when using Redhat services, you can contact the Redhat service team. They are available at any time of the day and will willingly solve your problem. 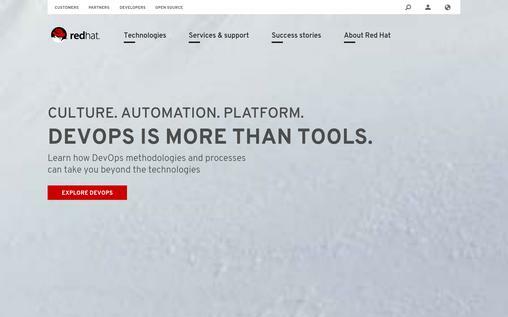 Founded as early as 1993, Redhat has the right experience in computer virtualization. It is also open source and affordable to small businesses. It is also a multinational software company so you are assured of quality in the product. Virtualization makes resource sharing easy and possible. It is possible to actually use the same hardware to manage several virtualized realities of computer processing. On top of that, you can access your work desktop from any part you are working from. If you are thinking of integrating virtualization software in your business or personal uses, the above software is the best to choose from.